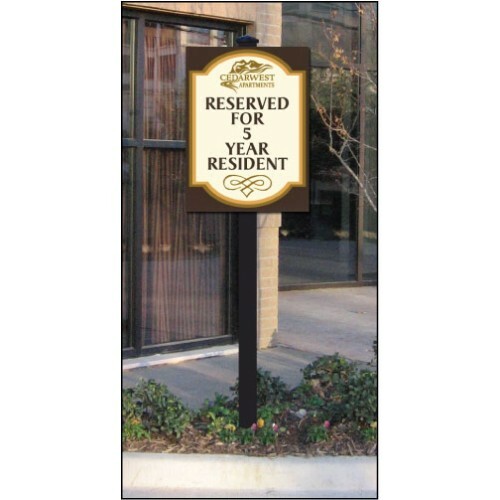 Use our Deluxe single posts when you want a solid architectural look for smaller signs. 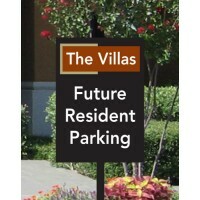 Great for 12” x 18” or 18” x 24” single faced signs. The posts are 3” thick and made of rust proof structural grade aluminum. We offer them in a black or white finish. The posts are available in 6’ and 8’ heights. Signs can be attached to the posts with screws. Use our screw cap covers for a finished look. The posts come with the flag cap, but you can add a ball or pyramid cap for a grander look.